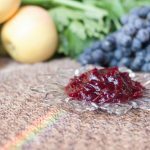 We have the most amazing citrus cranberry sauce that is family friendly which is perfect on, well, almost anything really. 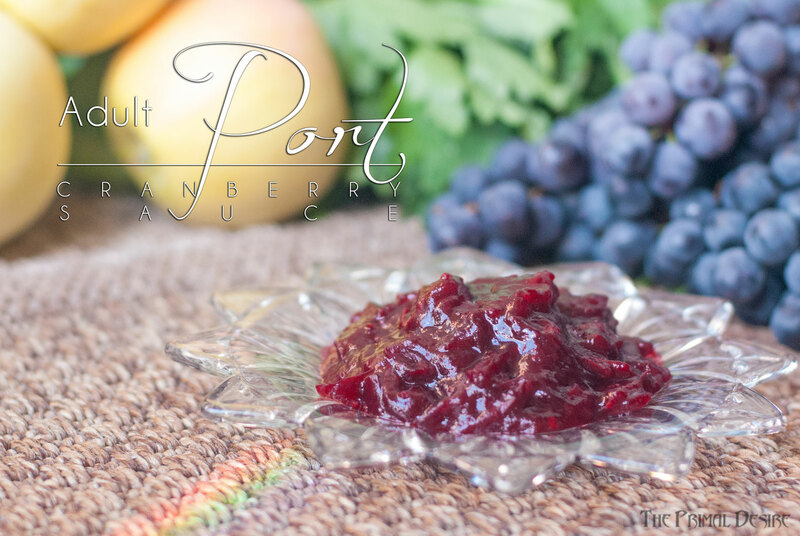 But we wanted to do something fun with wine, and came up with this Adult Port Cranberry Sauce. Bazinga! It's Canadian Thanksgiving! My sister and brother-in-law are coming to visit! Coming to visit where, you may be asking – if you remember that I am currently homeless, aka “home-ful“. I have the greatest people in my life. My friend Pam is lending us her place for a Thanksgiving weekend. We're not planning on doing a full turkey this year – WHAT?! I know. Although Holley has me reconsidering this assuming we can find the perfect little bird today, the Friday of Thanksgiving. We'll see. Or… I might just be making not-so-paleo aged cheddar turkey grilled cheese sandwiches on real sourdough. I'm so intrigued by real sourdough bread and how the bacteria involved break down many of the offending wheat proteins. 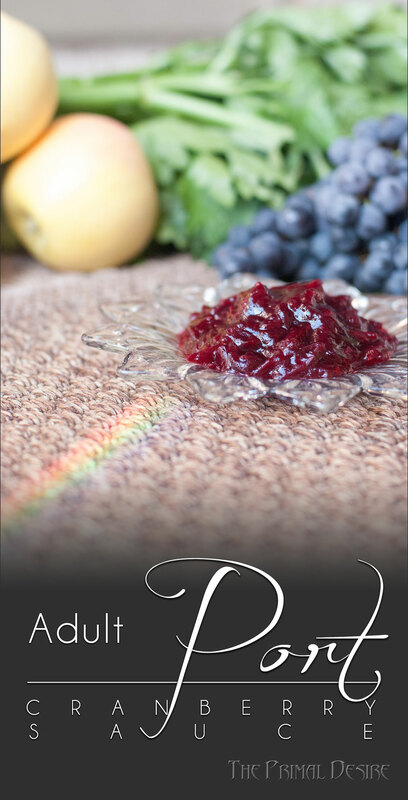 Regardless of what form of turkey we have this weekend, we will be enjoying it with our Adult Port Cranberry Sauce. Happy Thanksgiving! Combine all 3 ingredients in a saucepan over high heat, stirring occasionally to prevent burning. Cook until cranberries have popped. Share with loved ones. Er… serve with turkey and share with loved ones. Yeah, that sounds better. We used Okanagan Crush Pad's Narrative Fortified Wine (port), but you can experiment with different ports of course. 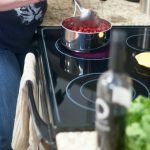 A good cranberry sauce that’s paleo! That’s perfect! You had me at port!! Love how simple this recipe is. The color is beautiful! That’s a cool spin on cranberry sauce! I bet it has a lovely flavor. Oh gosh yes, this is just everything – love this change up! I’ll be trying it! Thanks! You’re so welcome! Enjoy Renee! Love this! Going to pin this for our Christmas dinner. Can’t wait! Nice! What other paleo Christmas things do you have pinned? The addition of port is perfect. 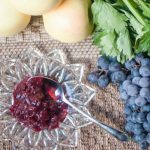 I love the simplicity here and an alternative to the canned cranberry jelly – yuck! This looks delicious! I plan to try it this holiday season for sure! So rich! I love boozy sauces! yum! Let us know how it goes! I’d love to see a photo on Instagram! I love how simple yet creative your adult, boozy cranberry sauce is. I was a peacock for Halloween, as my best friend Said’s birthday is on Halloween and always has a large costume party. Wicked! Are there photos anywhere that we can see?